Back at it with another review, and this time it is on the brand Pink Basis. 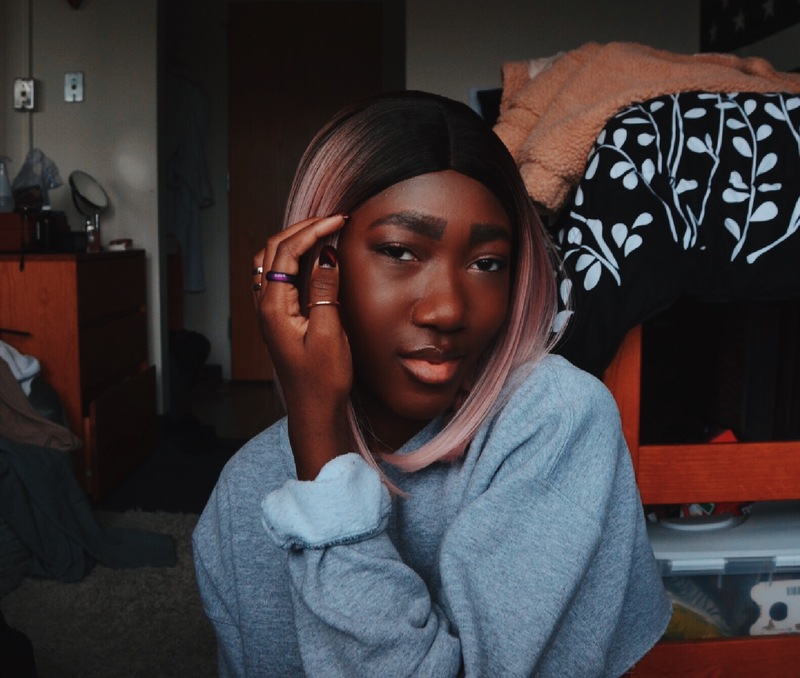 After doing a collaboration with AMI Clubwear (check out the review here), I was asked to do a collaboration on Pink Basis and review a few products that I received. As I have said in my past reviews, I will keep it real with my readers. If I am not 100% satisfied with what I receive from certain brands, I will make that clear because there is nothing more frustrating than reading an overly positive review of products that have you wasting your money on products that are actually not worth buying. On that note, I am absolutely in love with the products I received from Pink Basis. As a fashionista, it is important to buy clothing that you are able to style in more than 3 ways; if you can only style them in one way...it's not worth it. In the first look above, I style their Satin Two Piece with a lace cardigan and strappy black heels but it could also be styled with a blazer or cropped jacket with gold body jewelry. What I love about two-piece outfits is that you could style the top with different bottoms and the bottoms with a different top; you do not always have to wear the set as a set. 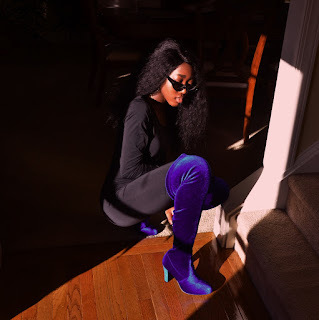 In the next look, I style their Black Long Sleeve Casual Jumpsuit with AMI Clubwear's Royal Blue thigh-high velvet boots. Jumpsuits can be styled in so many ways; for example, you can style it by itself, with a long waterfall coat, a bomber jacket, sock boots, casual sneakers, etc. I was worried about it not fitting me the way I wanted it to, but the spandex material hugs me in the right spots so it is definitely worth the buy! In the final picture, I am wearing their Black Faux Fur Heels with diamond fishnet tights from StonesbyCarlos because who doesn't love a little sparkle? If you are like me and have to order a size down for strappy heels, then they will fit just right otherwise I recommend ordering your regular shoe size. Check out their website here if you love what you see or just need some time to browse a new clothing site (They are currently having a sale!!! ).